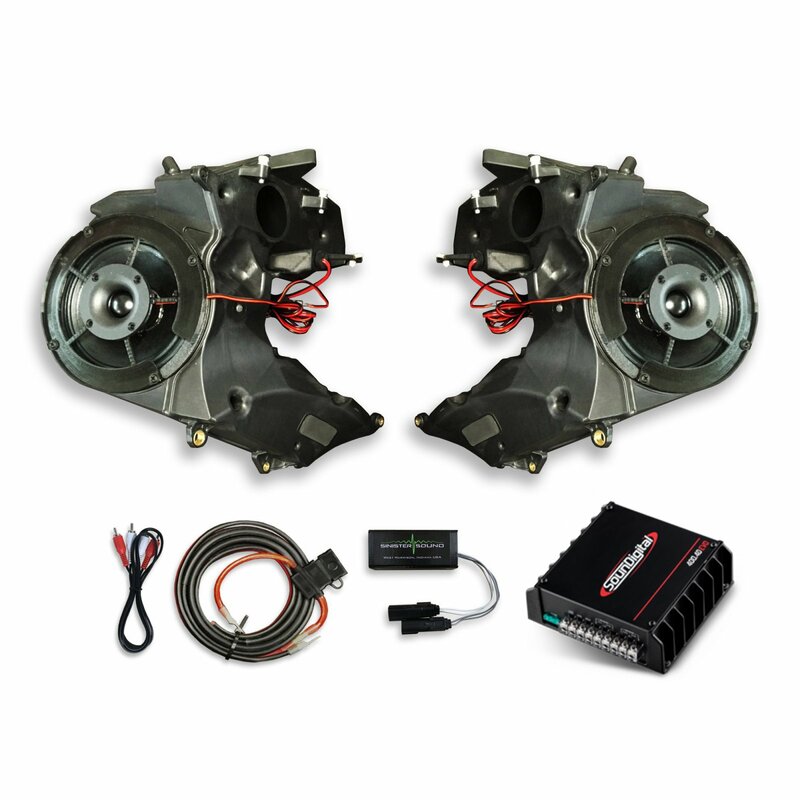 Package includes same SinisterSound speakers used on all our demo bikes, SounDigital 400.2D EVO 4ohm, special line level adapter, so you don't need to flash radio, Arc Audio RG15 mounting bracket, RCA cables, power and ground harness....On your Road Glide the amplifier mounts under radio. The RG15 bracket is really intended for Arc Audio products. It will be an easier installation with an Arc Audio amplifier. We sell those as well. Call for pricing and with any questions. 513.630.6733. Package comes with parts and templates to modify and reuse your factory enclosures.